Road bikes come in a variety of materials, brands, colours and components; with the increase in popularity of cycling in the UK playing a big role in driving the industry forward. 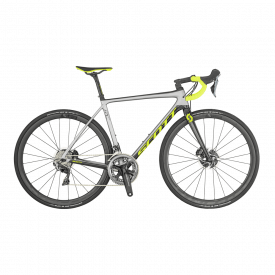 Whilst carbon road bikes are always favourites among the racers and the club riders, there are plenty of machines available in aluminium, titanium or steel that are available at a cheaper prices with just as good of a spec. The geometry of road bikes means that they require a forward posture that can sometimes be uncomfortable if you have never ridden a road bike before, and drop bars can make changing gear and braking feel strange as they work differently to mountain or hybrid bikes. Weight is a big indicator of quality in the road bike arena, with the lightest bikes having a carbon road frame and superlight groupsets and cycling components to demand a higher price. 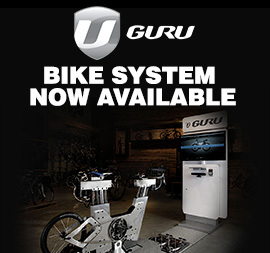 These machines are used by racers or riders who want the best quality, but in reality as a new rider or a mid-range rider these machines will provide marginal gains when compared to other bikes. At Cycle Division we have a good selection of road bikes to choose from including machines from top brands like Cannondale and Scott. These manufacturers all have bikes in the professional peloton and know their stuff, so you can be sure that when you buy a road bike from us you will be getting quality. With so much choice of frame and components, you can speak to one of our team to get some advice on what the best set up would be for you. Contact us today for more information.